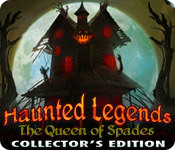 Haunted Legends: The Queen of Spades Collector's Edition is rated 4.3 out of 5 by 35. Rated 5 out of 5 by sapoe from love it! everything in this game, I love it! as usual good work ERS.. 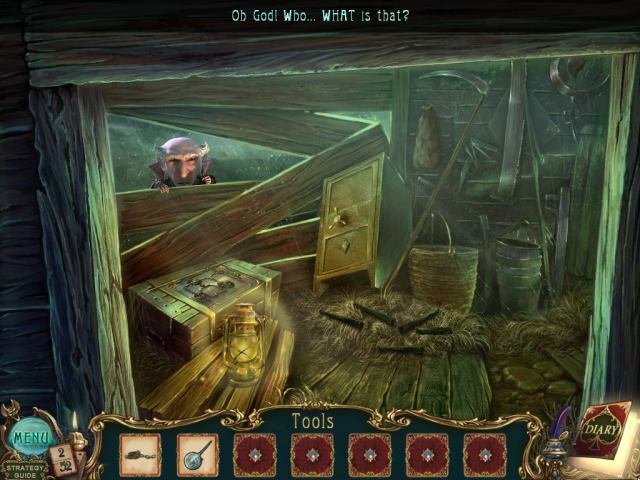 Rated 5 out of 5 by sandradolores from Love, Love the game I'm playing the CE and am really enjoying this game. As for the SG, I was somewhat annoyed because when you check a page and return to the game, then go back to the guide, you have to start with the beginning of your chapter and keep clicking till you are up to date. That being said, the graphics are nice, like the story iine, and visiting numerous places.I thought the HO's were good. Some items were obvious and others, for me, required some serious looking and clicking around. I rather liked this variety. Others have gone into detail; so, I am posting to,basially, express my opinion, I DO recommend this game. Rated 5 out of 5 by grunny50 from Beautiful Game! I love playing this game. The music keeps me going, strangely enough. Reminds me so much of Ravenhurst background music, and it gives me that same feeling of decayed opulence that intrigues me so much. I love the HOS's because they are beautifully painted. The puzzles are fun without being impossible, and I wanted so much to catch that devilish little guy running around throughout the game! Rated 5 out of 5 by Fishpole from DEFINITELY GET YOUR MONEY'S WORTH HERE! This game has it all.....good storyline, nice mix of HO scenes and puzzles...with the 'twist' of looking for 52 playing cards thrown in. The 2 downsides that I found with the game were: That one: there was no 'reset' on the puzzles. If you started off and then wanted to change your mind and start over, you couldn't. If you were stuck then you HAD to 'skip'. Which I hate to do. The second downside, for me anyway, is that I KNEW which room I had to go to - it was just a challenge sometimes to get there. It would have been nice if the 'hint' button could give some sort of direction. Aside from these 'minor' glitches, I played right through and what an ending! Great way to spend an afternoon. Rated 5 out of 5 by Lillyjo from Second Review After playing this game for awhile I have changed mine about how I feel about it. The Game is very good. I was able to block from my mine that Full Screen and Wide screen are the same size with this game, small. I do like the game though. Rated 5 out of 5 by RyaGems from good but what a run around I never thought I would be sick of HOS. This one was fun and you get your monies worth. I did not think the game was focused enough. a lot of running around back and forth.. Good for brain memory exercise. 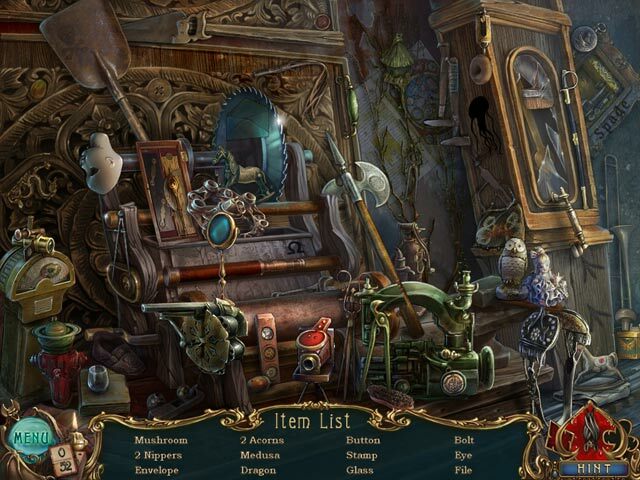 Rated 5 out of 5 by renatethomas from All Around Great Game I really like this game. 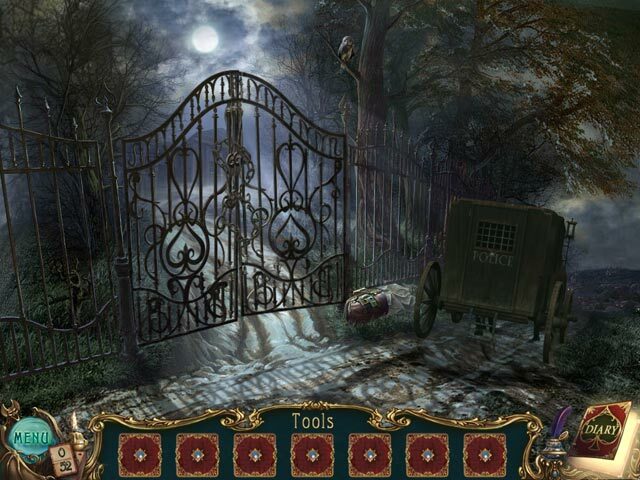 It had everything I was looking for - great graphics, scary storyline, lot of HOS and long game play. Rated 5 out of 5 by ImaTexican from Love the game! I love the game alot and have already played it from start to finish several times. The scenes are really neat and there are lots of rooms and different areas to travel back and forth too. I liked the bonus game a lot as well. My only complaint is that you only get to play the bonus game the one time. At least, I have not been able to figure out how to access it again. Overall, though, LOTS of fun.